Sandy Ho is a queer Asian American woman who has Osteogenesis Imperfecta (O.I.) which is why she needs to use a wheelchair at all times. Her disability advocacy surfaced through her blogs. As she wrote more and more about her daily experiences she started to connect with other people who had (O.I. ).This led her to get involved and find the Thrive Mentoring Program where she mentored young disabled women. She was one of the organizers of the Disability & Internationality Summit which was held in Boston on November 5, 2016. 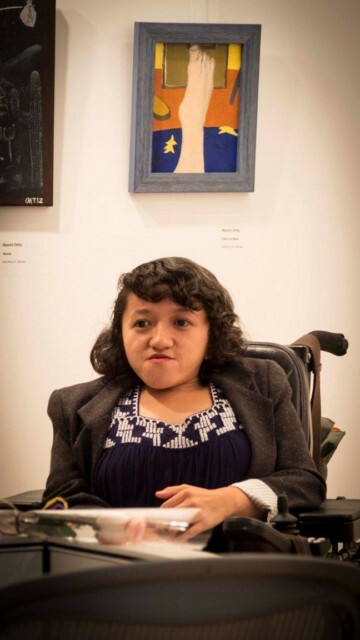 Her goal is make movements and protests more accessible to people with disabilities.